Set up in 1763 by Chester Quarterly and transferred to Caln Quarterly in 1800. From 1763 until 1884 meetings were held in the meeting house which was owned jointly by both branches of the Uwchlan Preparative meeting, except for six months during 1778 when they were held in the Nantmeal Preparative meeting house. From 1884 until 1890, meetings alternated between Uwchlan Preparative and Downingtown Preparative's meeting houses. Since 1900 the meetings have been held solely at the Downingtown meeting house. At the time of the WPA of the Pennsylvania Friends' holdings, Uwchlan Monthly was listed as being in charge of the burial grounds at Uwchlan, Downingtown and Nantmeal. Component meetings (both pre-Separation and Orthodox) were Downingtown Indulged, Downingtown Preparative, Nantmeal Preparative, Pikeland Indulged, Pikeland Preparative, Uwchlan Indulged and Uwchlan Preparative. After the split, the Hicksite component meetings were: Nantmeal Preparative, Pikeland Indulged (Kimberton), Pikeland Preparative and Uwchlan Preparative. The meeting house in Downingtown is the modern home of Uwchlan Monthly. The meeting is more commonly known as Downingtown now. Nantmeal Village, Chester County, PA Set up in 1781 by Uwchlan Monthly after being an indulged meeting since 1739 under the care of Uwchlan Preparative, with the permission of Goshen Monthly. 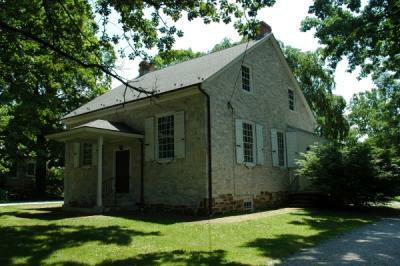 At the time of the Separation, both sides continued to use the meeting house, but neither side lasted very long and both were laid down within a few years of the Separation. In 1882, the property excluding the burial ground, was sold to John E. Rettew. Set up 1758 by Uwchlan Preparative, then a part of Goshen Monthly. When Uwchlan Monthly was created in 1763, this meeting was transferred to it. A log meeting house was built about 1758 on land donated by Samuel Hoare. This first meeting house was used until 1802 a second meeting house was built near the site of the first one. 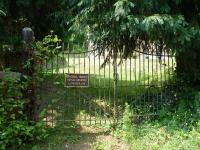 In 1818, Emmor Kimberton donated land along Nutts Road in Kimberton and in 1819 a new meeting house was created there.